The washer repairman didn’t call, didn’t come, so I was “stuck” at home all day. As I got busy cooking up lots of stuff in the fridge, and harvesting from the garden, and then cooking that, I remembered why I love getting stuck at home. So much gets done, when I get some momentum. 1) I made Ropas Viejas from beef chuck, for filling burritos. This means “old clothes” in Spanish, and is shredded, seasoned meat. We’ll have burritos tomorrow and use that, and I’ll have some to freeze. 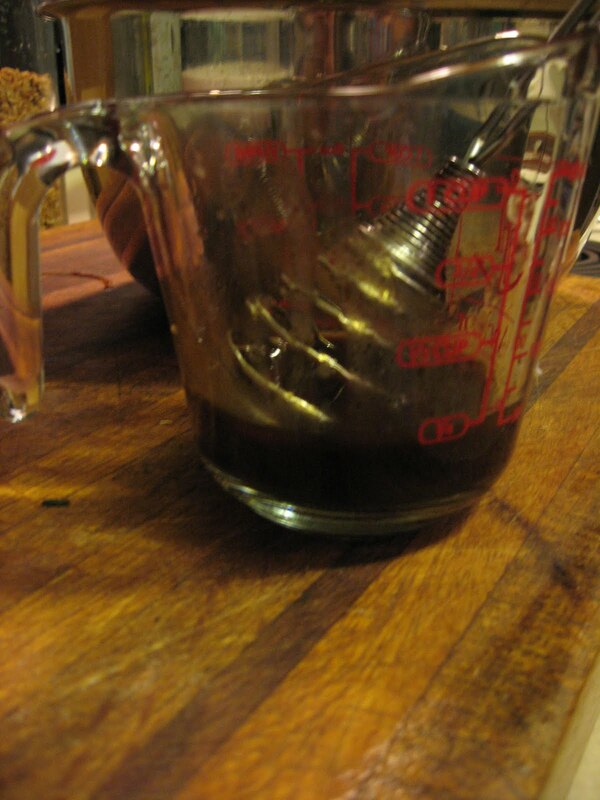 2) I made a soup stock from some lamb bones, and took the meat off to add back to the soup. 3) I picked about 20 pimientos and for the first time tried roasting them under the broiler and my, did the skins come off easily. A few pieces I nibbled on like candy, and they were that sweet, and most of them I froze. 4) I made Red Pepper Butter by mixing two of the roasted peppers with sweet butter in the food processor; then I froze it in a jar for something…later. 5) I cut yams lengthwise and brushed them with olive oil, then sprinkled on salt, pepper and fresh rosemary (which I’d just picked from the back yard) and roasted them for dinner. 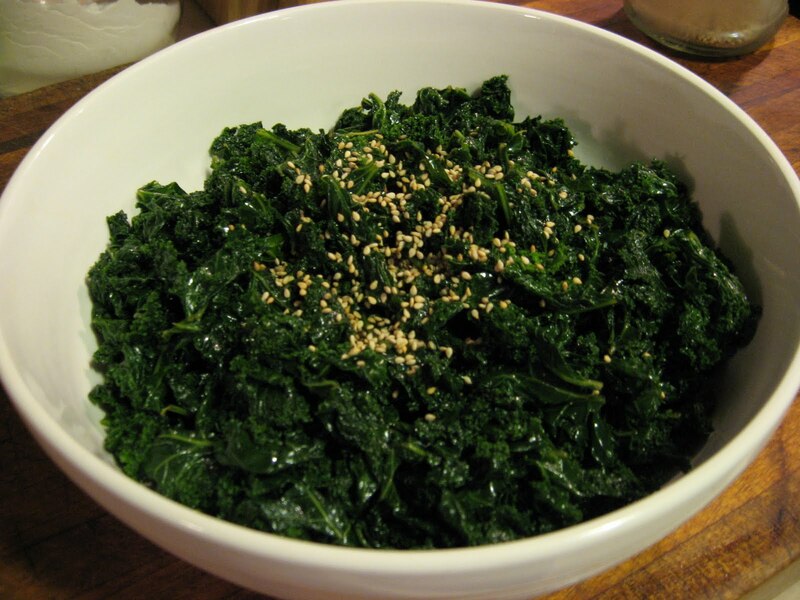 Then, after dinner, I got around to the kale that I bought a few days ago, and made Korean Kale Salad. This recipe I adapted from one in Sunset Magazine some years back. For number of ingredients, and simplicity of preparation, it is easy. I haven’t run across anyone who doesn’t like this salad. I had the nerve to serve it for Thanksgiving dinner the first time, and the guests were thrilled to have a tasty green vegetable that wasn’t cooked to death. You start with 12 ounces of curly kale, which should be about a bunch. I haven’t weighed mine before, but I suspect that the bunches are getting smaller, because the salad seemed to get saltier every time I made it. So I reduced the salt in the recipe. If you find that it is not salty enough, you know what to do. 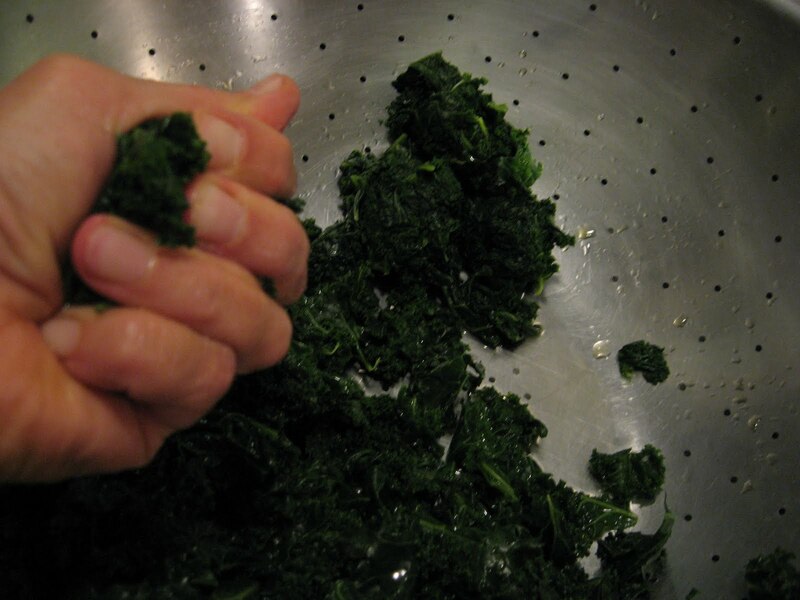 Tear your kale into bite-sized pieces, throwing out the tougher stems and veins. Wash it in a big bowl or the sink. 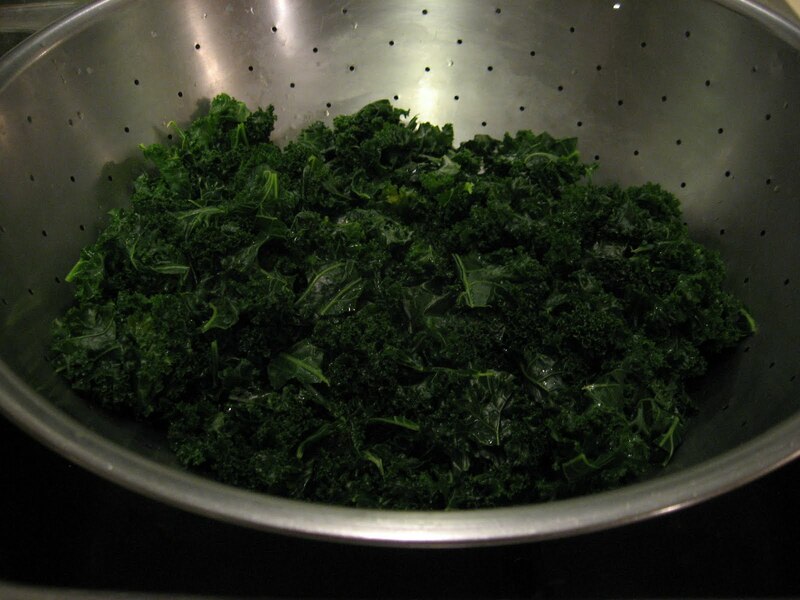 Boil water in a pot and throw the raw kale in. Push it down with a spoon and keep it under the water until it is wilted. The original recipe said 4 minutes but I call that cooked. I blanch mine for 1 1/2 to 2 minutes. Dump it into a colander and let it drain. I have a huge colander, so don’t let my photos scare you. I doubled the recipe because I have the equipment, and because I can eat a lot of this salad. By the way, a bunch is said to make 6 servings. and squeeze all the water you can out of it. I ended up with 9 or 10 little wads of squeezed-dry kale. 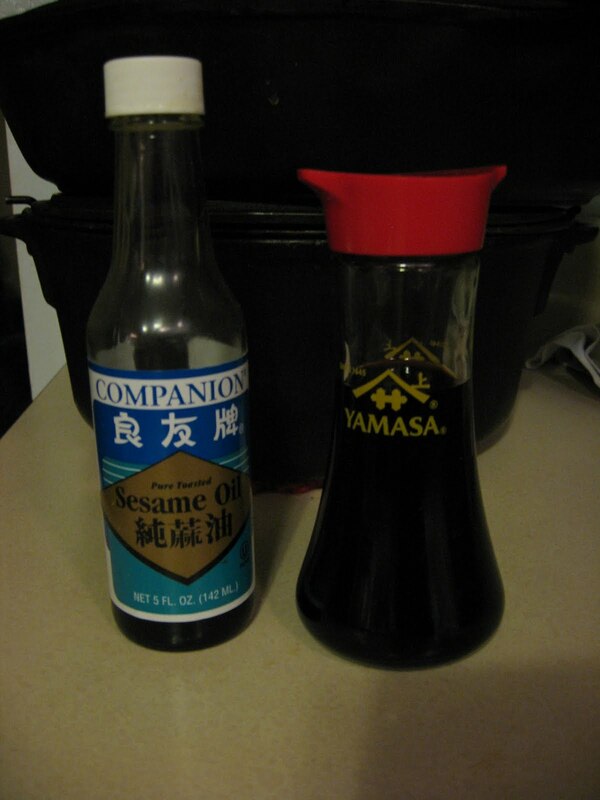 Make the dressing, which has evolved under my culinary direction to consist of 1 tablespoon Asian sesame oil and 1 tablespoon soy sauce. It’s a good idea to whisk the two together in a cup. 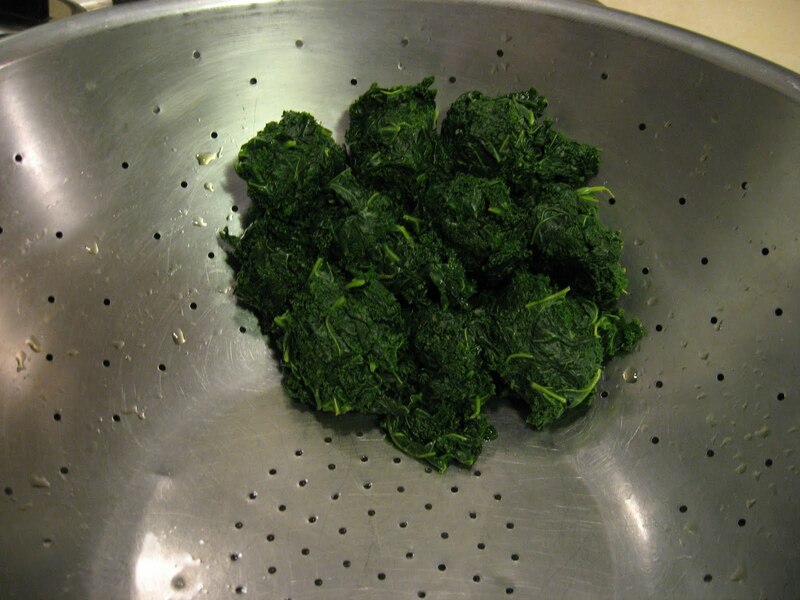 Put the kale in a bowl and toss it for a while to open up the leaves again. Sometimes I have to use my hands again at this point, or a couple of forks. Pour on the dressing and toss another while. It does take some time to get the dressing evenly spread around. It looks nice if you toast some sesame seeds and sprinkle them on top. I had so much fun today, it left me with not enough time to post pictures of all the other stuff I made. The repairman finally did come, and my washer had healed itself temporarily, so tomorrow I’ll do laundry. Red pepper butter sounds really good. I keep forgetting that butter can be frozen. I think I will use up the end of the jar of peppers in my fridge that way. Thank you for your comment on my post. I feel blessed by your wisdom. I sense such a connection – faith to faith. 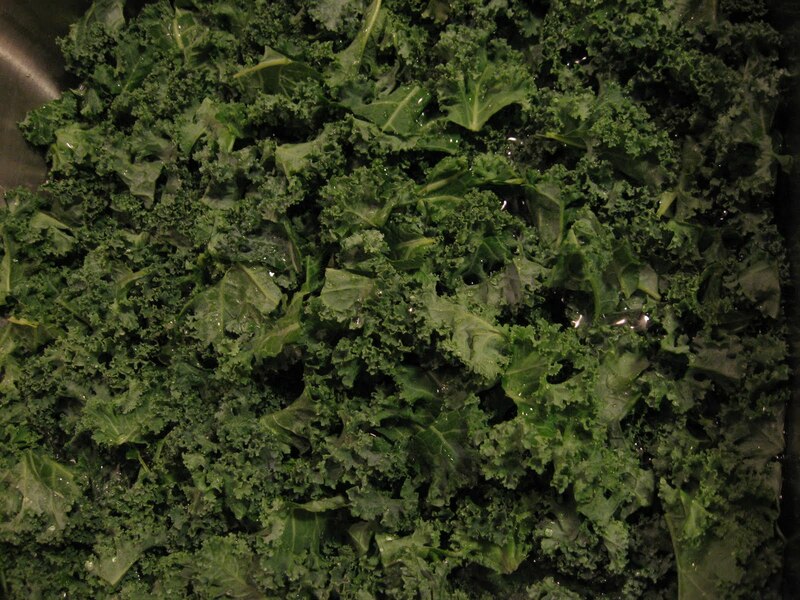 I can't wait to try the Kale…It is so good for you. Thanks for the idea. I have a delicious Kale salad recipe but it is labor intensive and requires so many ingredients that I rarely make it. I would love to know how to make the shredded beef. I am not a very good meat cook and my husband loves meat. Ooh, I don't remember eating this kale salad when you've made it, but I'm going to try it now. Looking forward to trying the sweet potato biscuits as well as the cheese puffs too. Oh, it sounds like a marvelous day! I'm inspired to plant peppers next spring and be patient enough to let them turn red. Yum. My garden usually has an abundance of kale, so I'll definitely be trying this recipe! I would very much like your recipe for the shredded beef. I have been looking for one for a while. Unless I've missed it, you didn't post it? Would you consider posting it? I will post the shredded beef recipe, I will! What a busy homemaker you've been. I'd love to eat everything you made today. I have never tried kale, but my indoor pet bunny loved it.